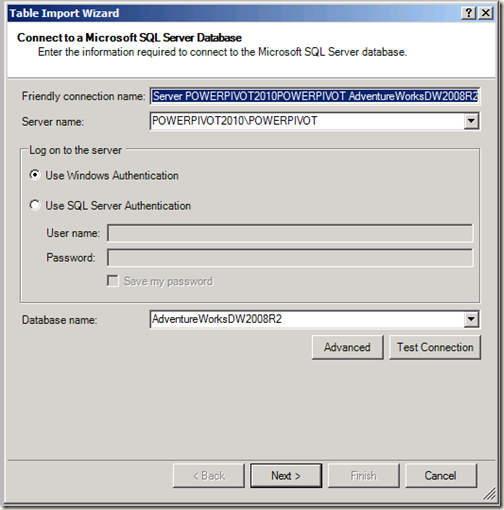 Installing the latest version of Microsoft SQL Server 2012 PowerPivot voor Microsoft Excel 2010 found at: http://www.microsoft.com/downloads/nl-nl/details.aspx?FamilyID=4b5d8276-d8c8-49b3-a653-f09f744ed9c5 resolved the problem. 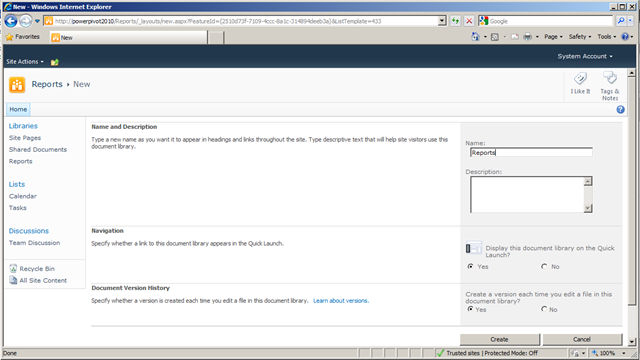 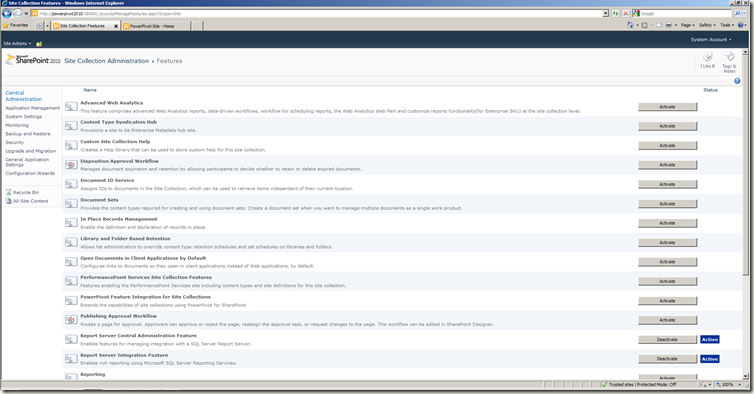 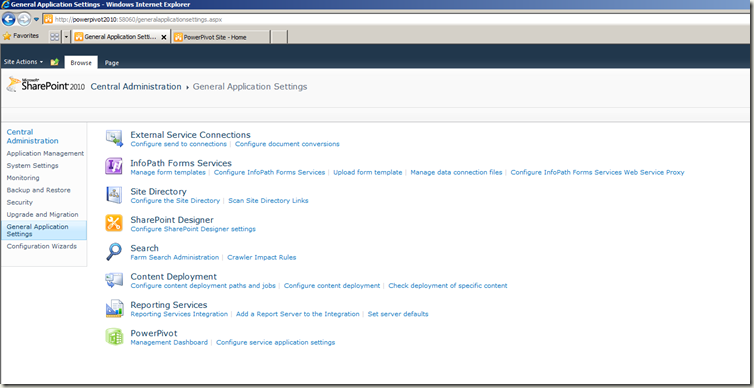 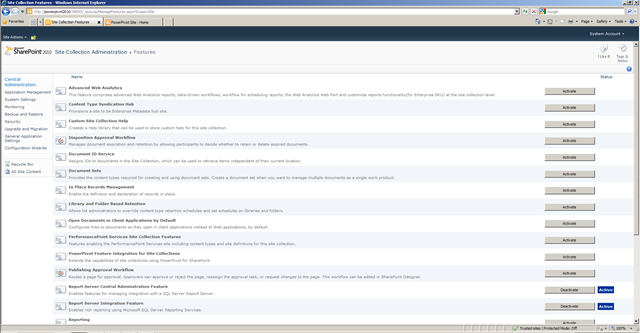 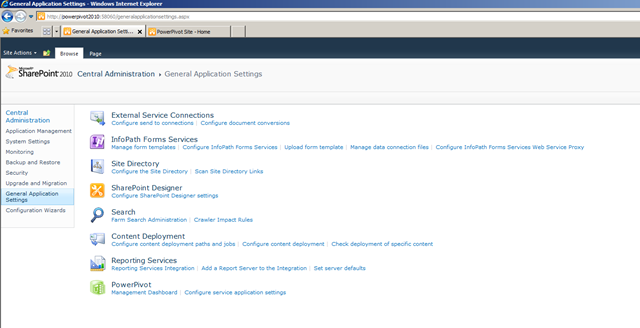 If you have to start or stop a SharePoint service, you should do this, by using the SharePoint Administration page. 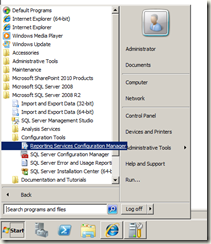 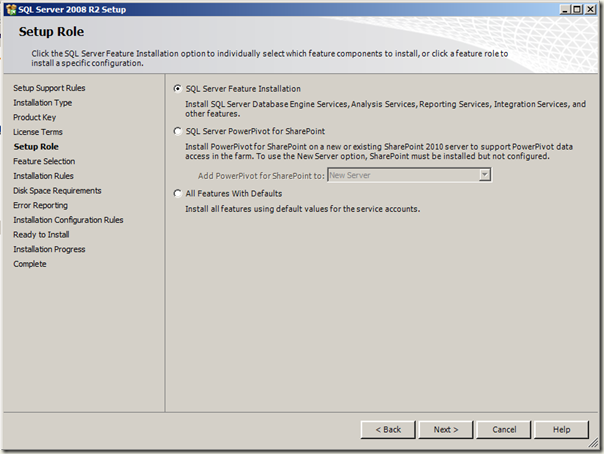 SharePoint will copy it’s version of services state to the Services.msc after a predefined time. 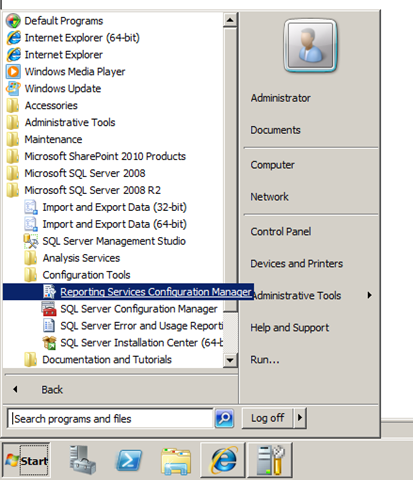 It will overwrite the manual changes made, by using the Services.msc. 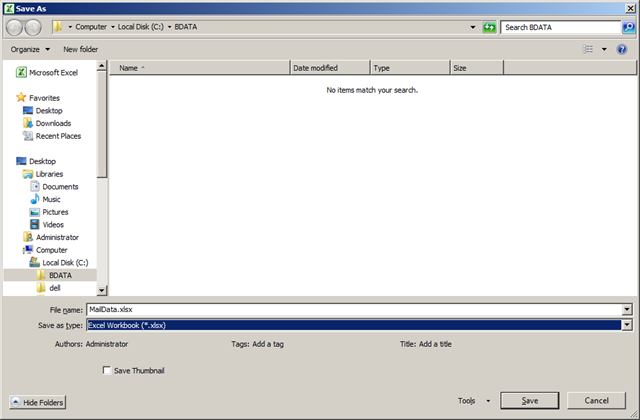 On my virtual machine the 80.000 rows where imported in 10 seconds. 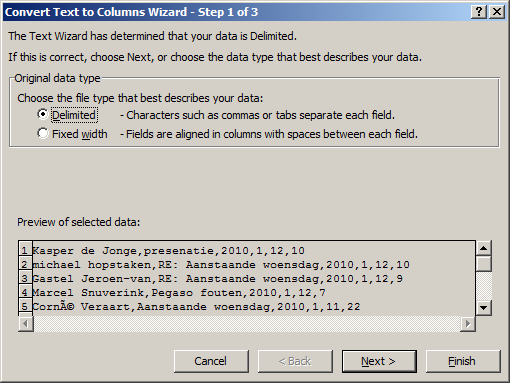 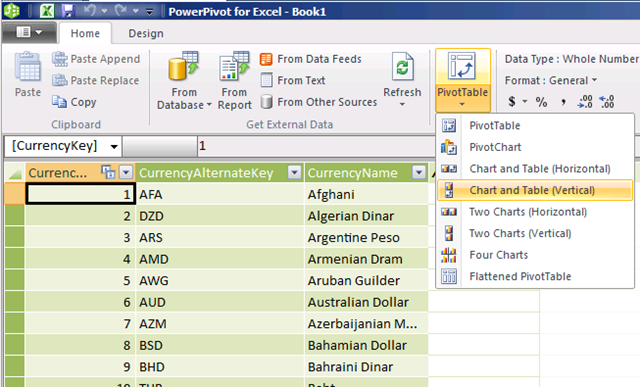 You can set friendly names for tables to show in the user interface. 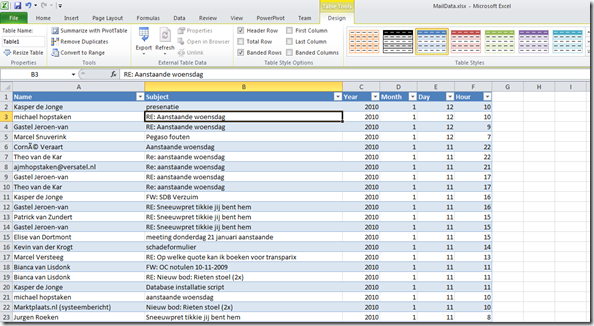 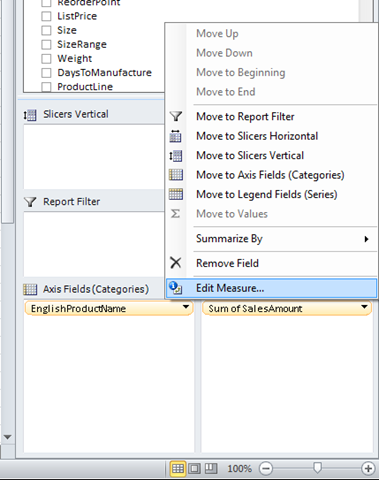 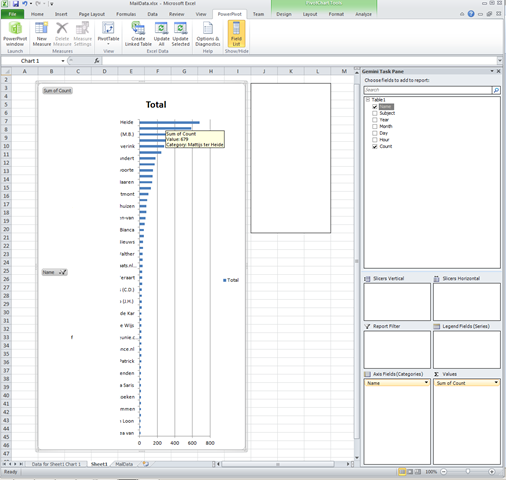 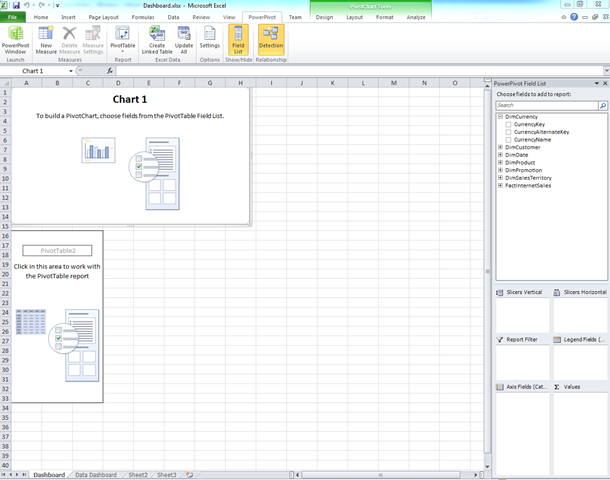 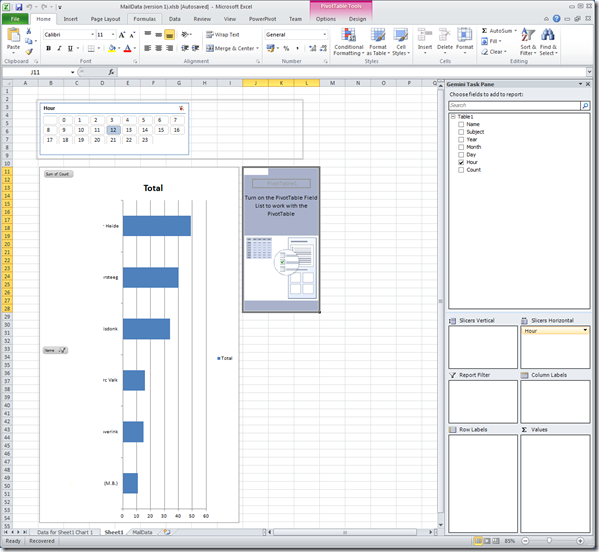 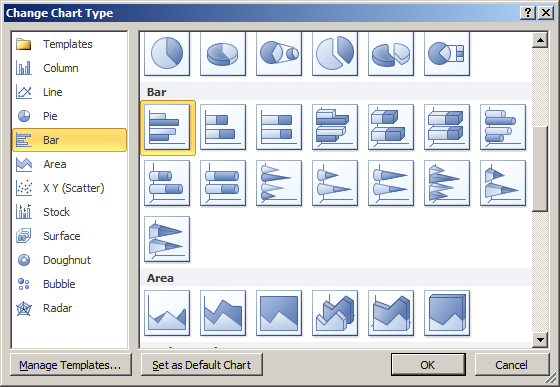 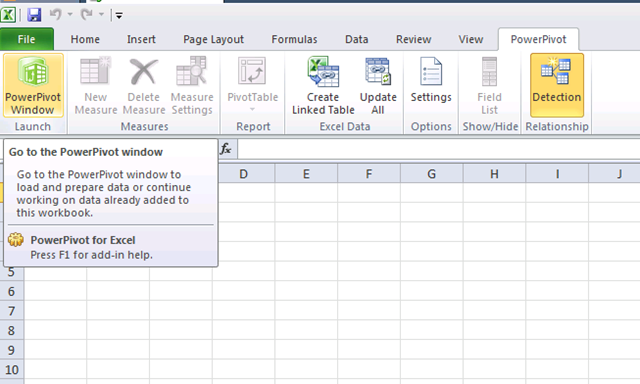 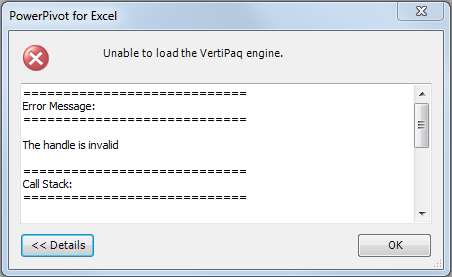 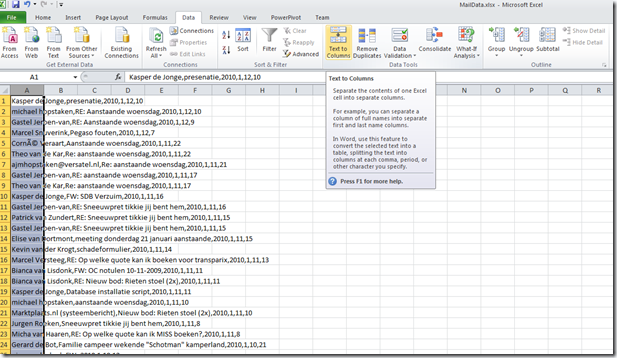 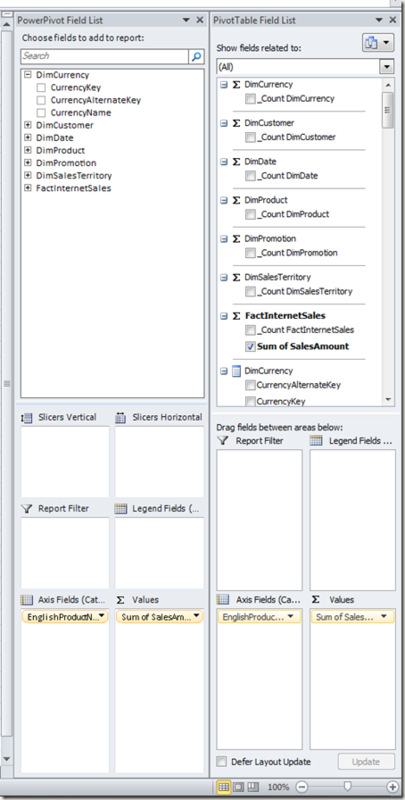 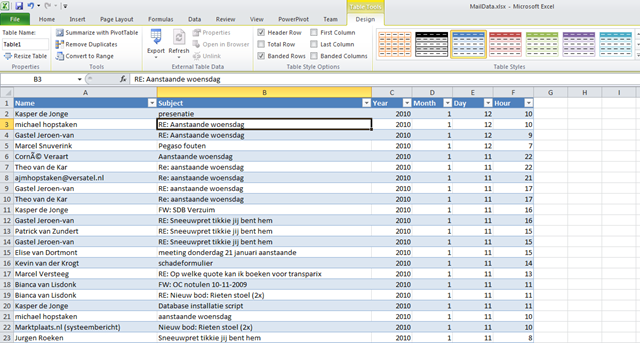 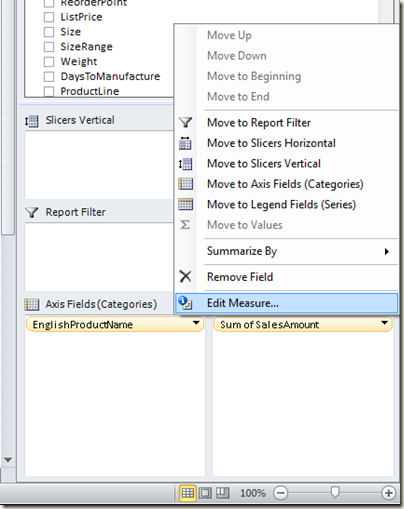 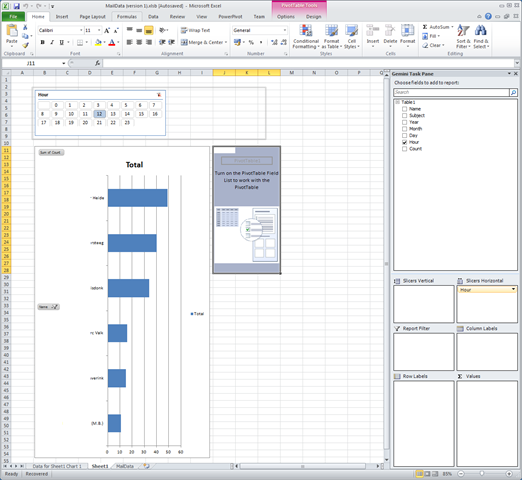 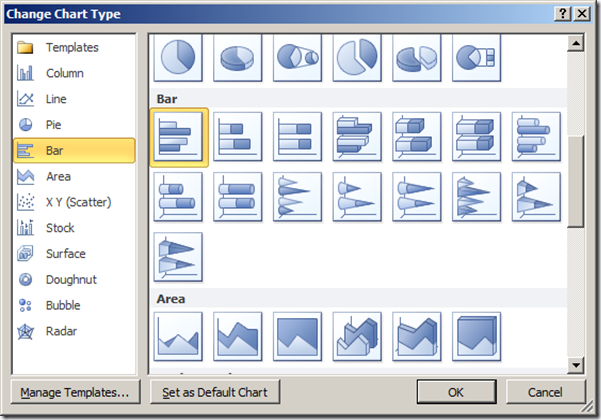 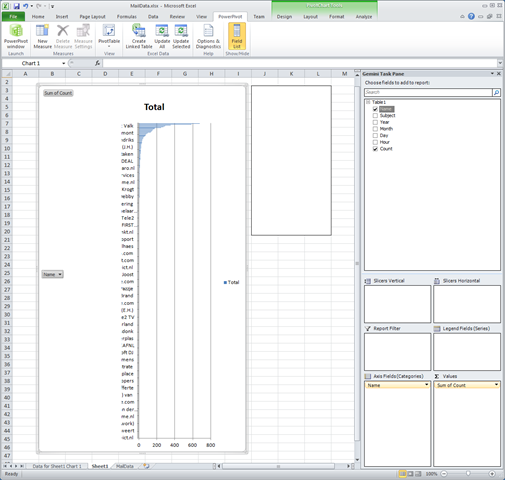 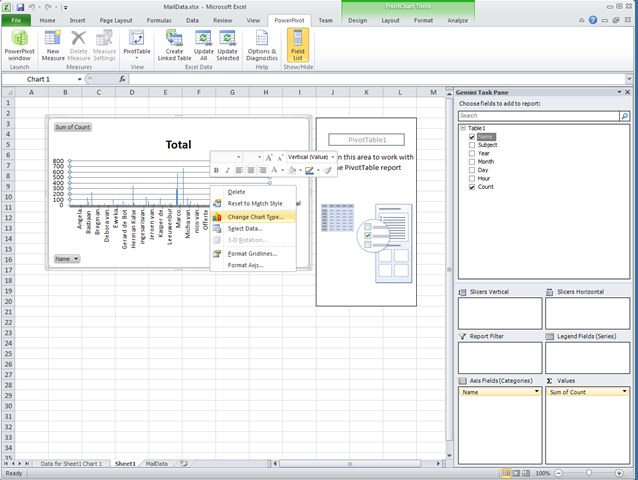 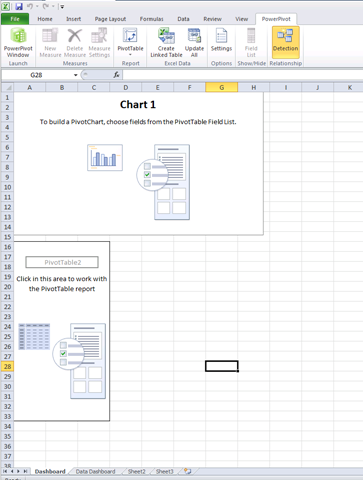 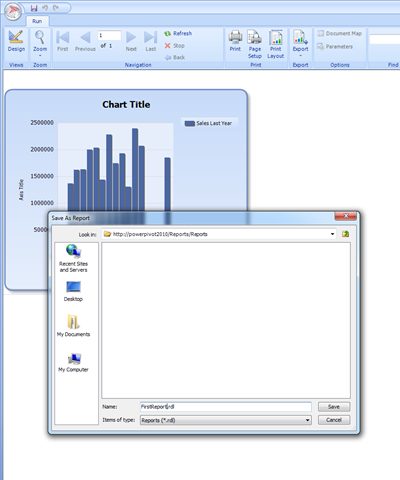 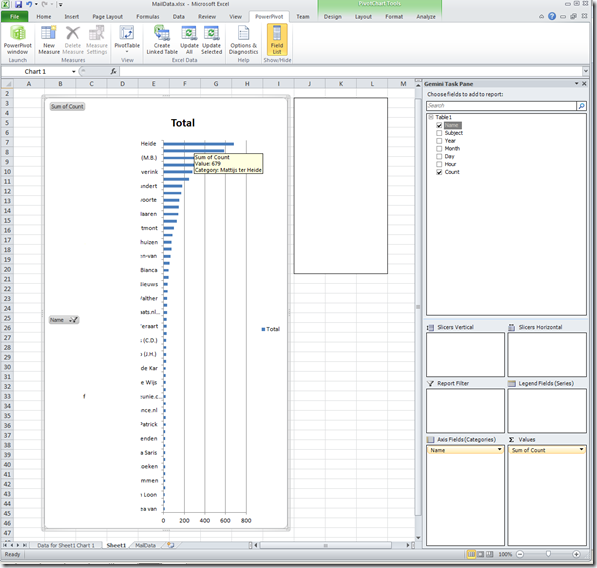 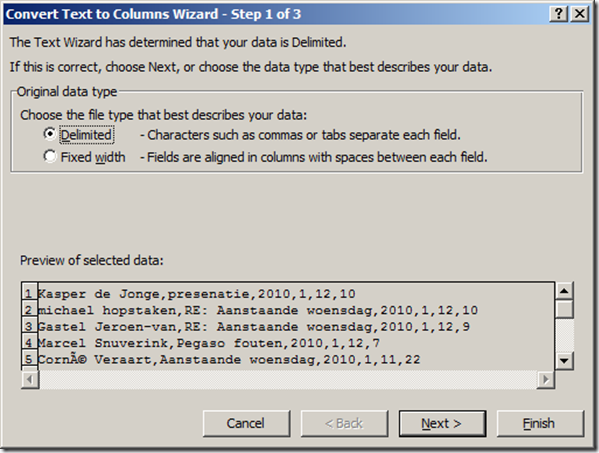 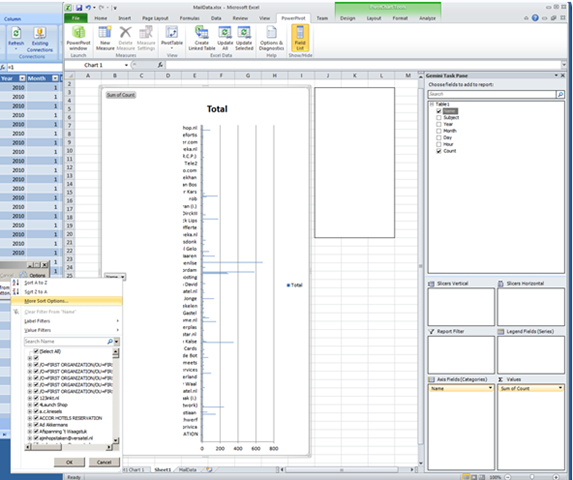 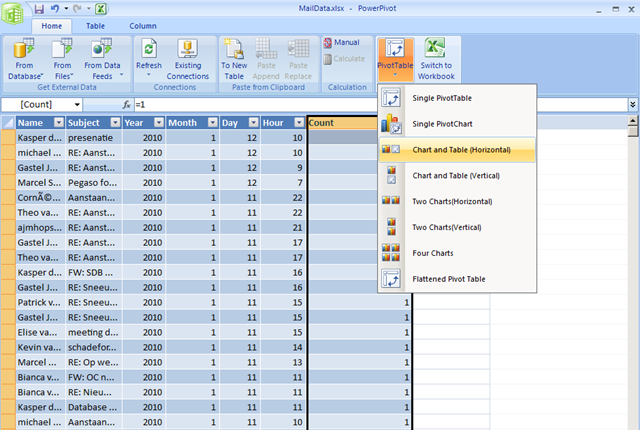 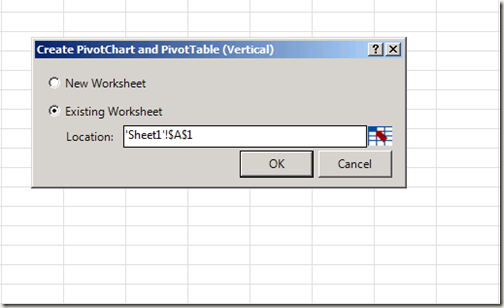 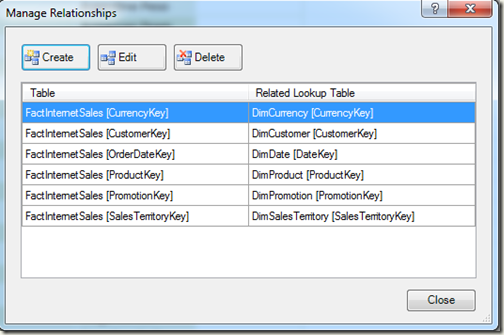 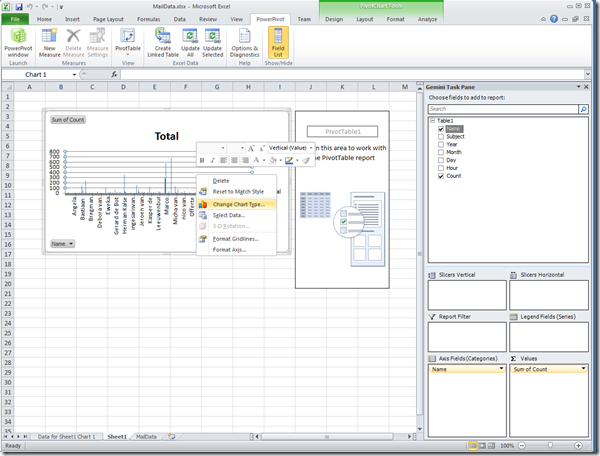 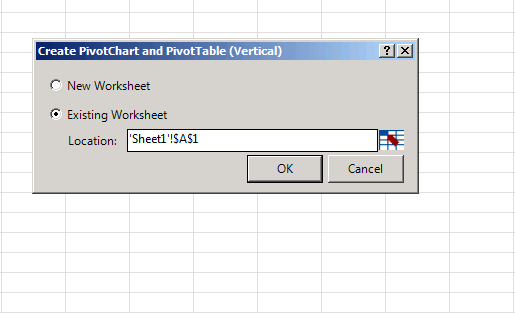 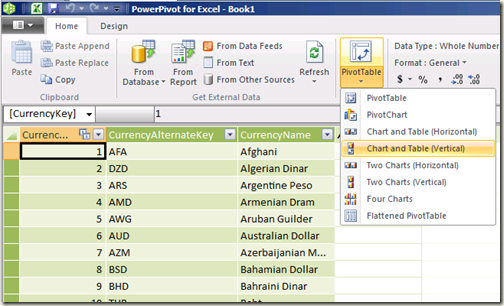 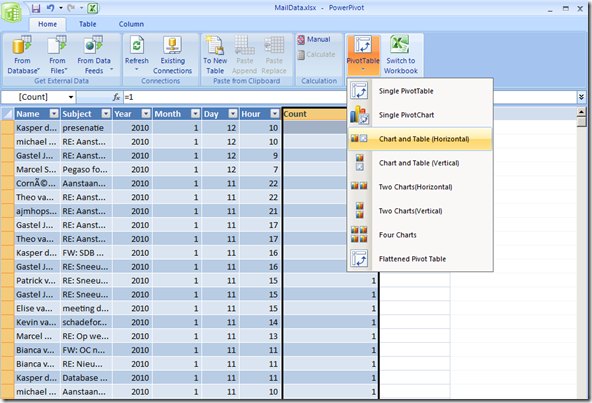 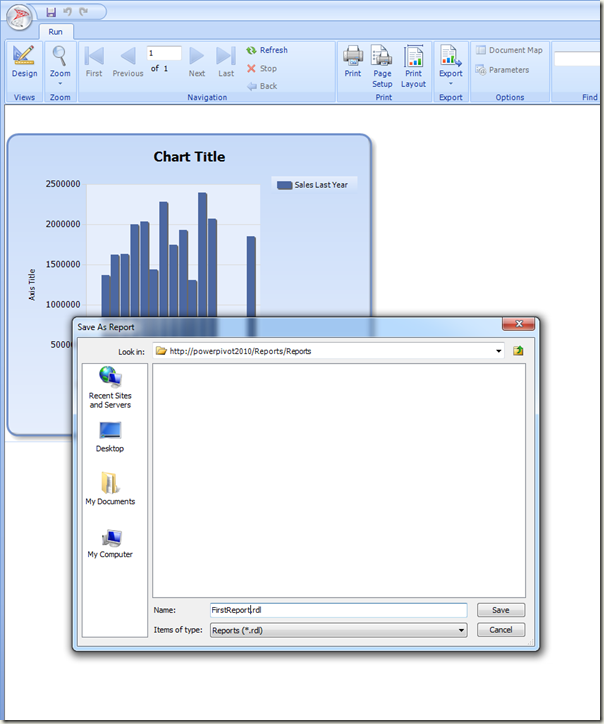 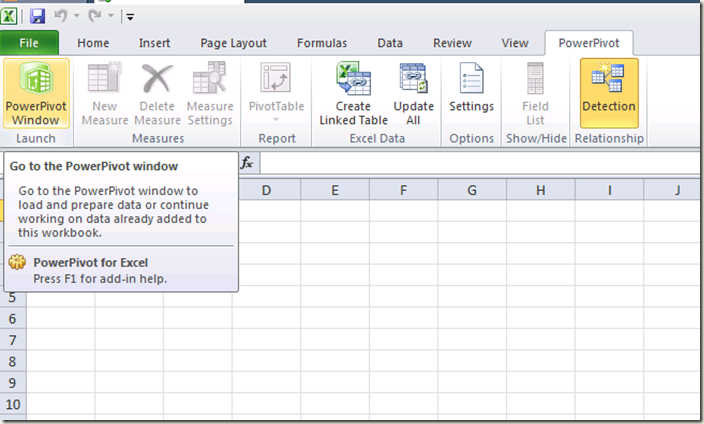 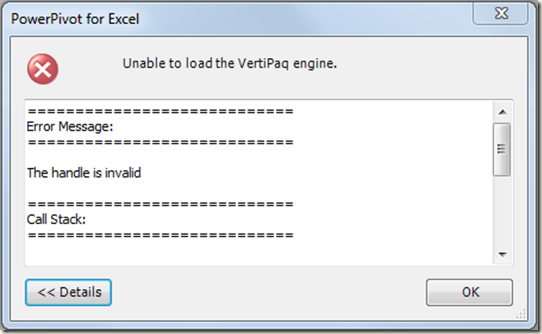 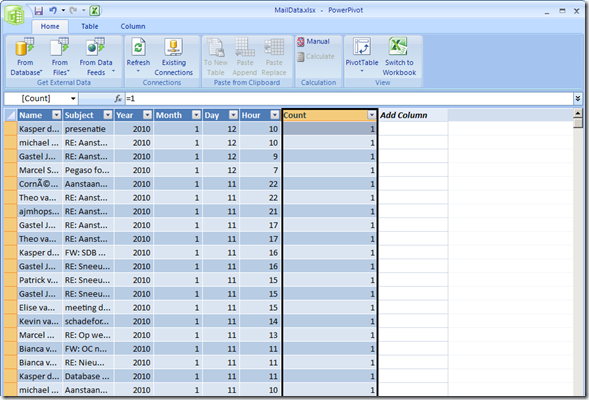 Click on the chart or the pivottable to show the “Field List”, if the “Field List” does not show click PowerPivot tab and click “Field List”. 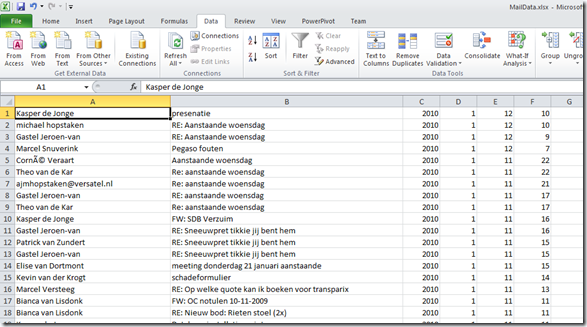 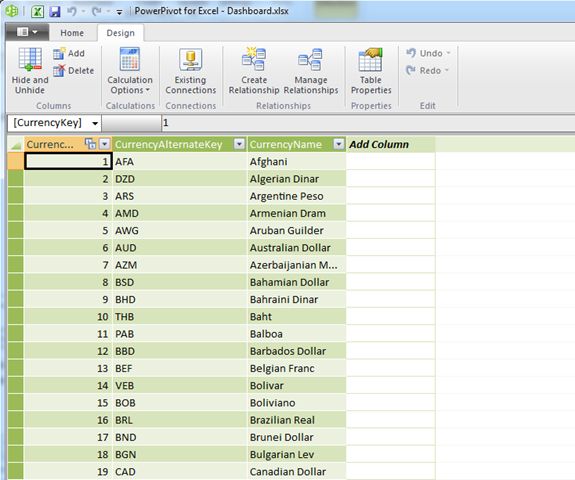 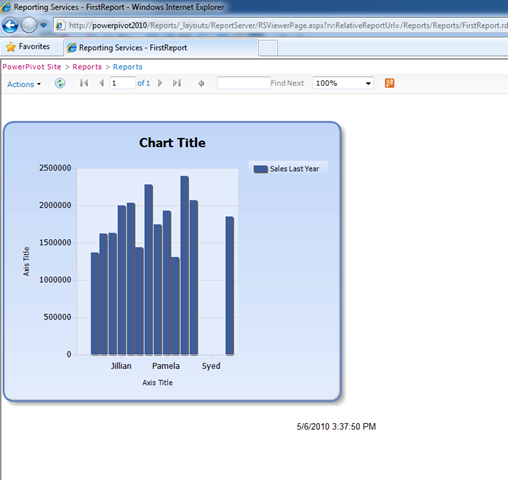 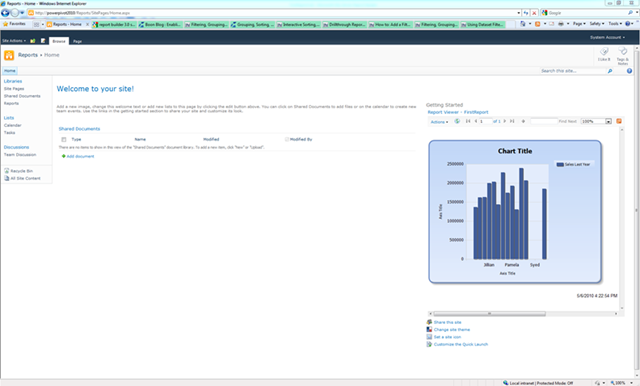 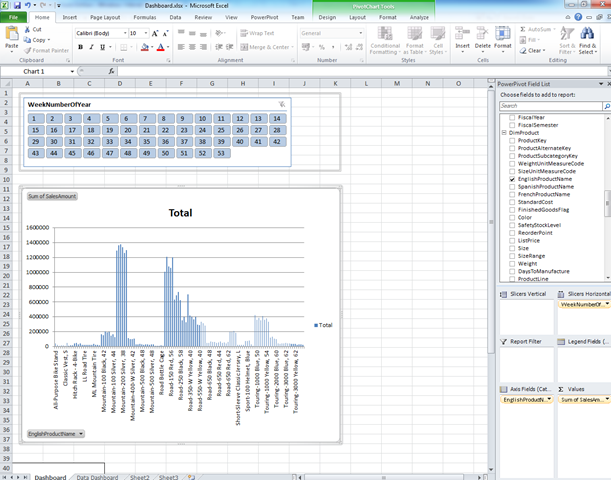 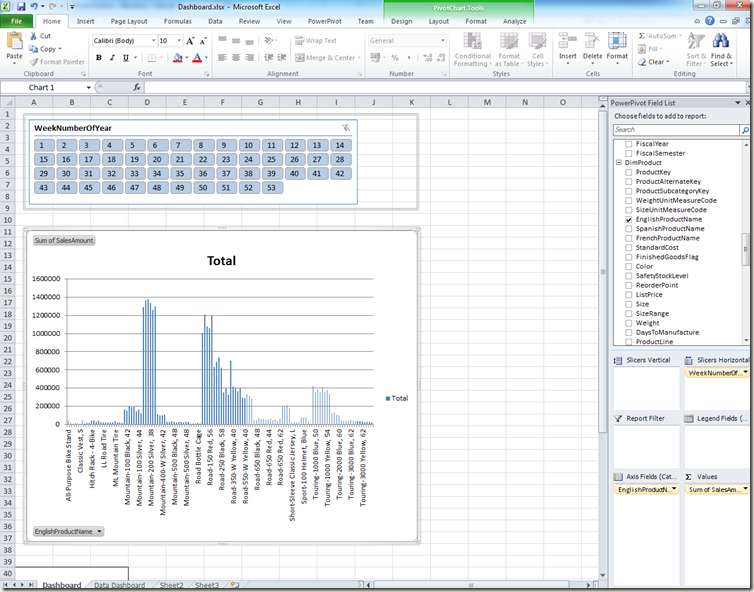 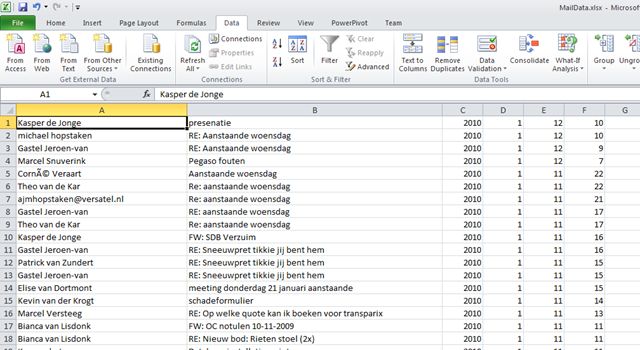 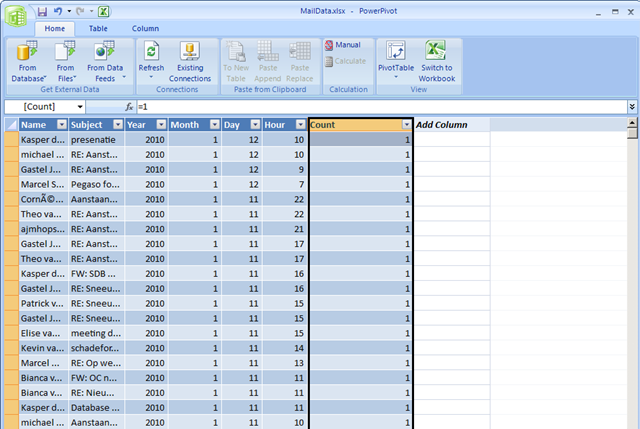 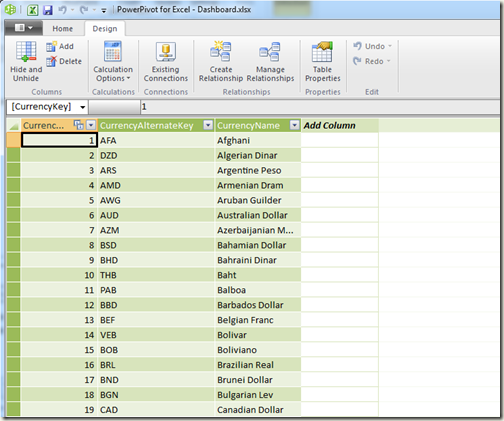 Result: you’re first PowerPivot chart!!! 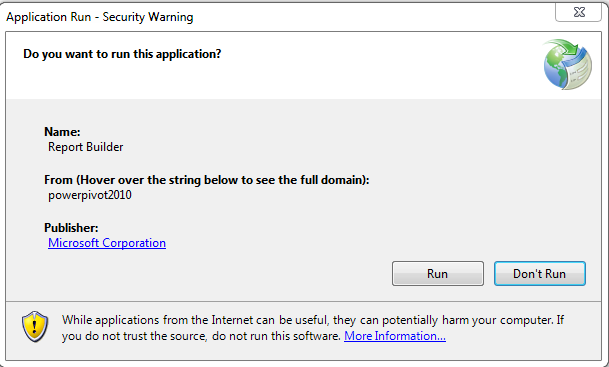 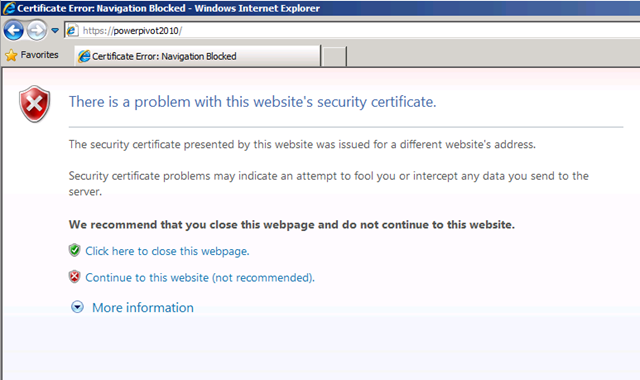 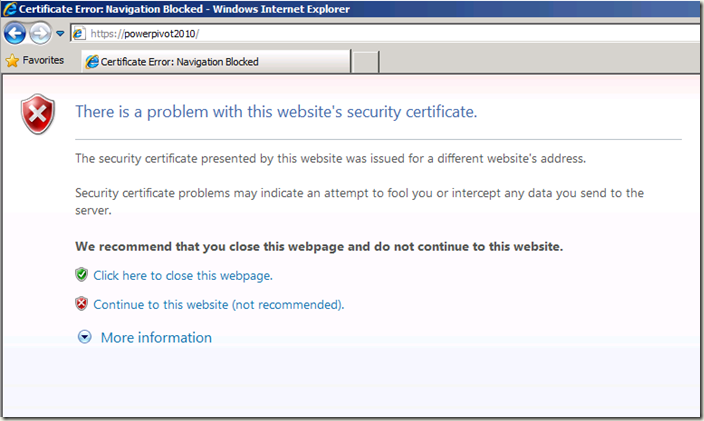 Choose the server generated certificate if you don’t want to by a certificate, but then you will get an warning when accessing you’re SharePoint site. 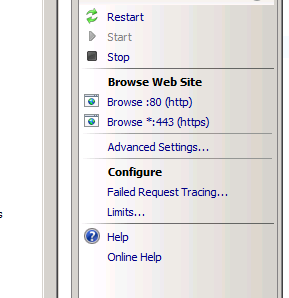 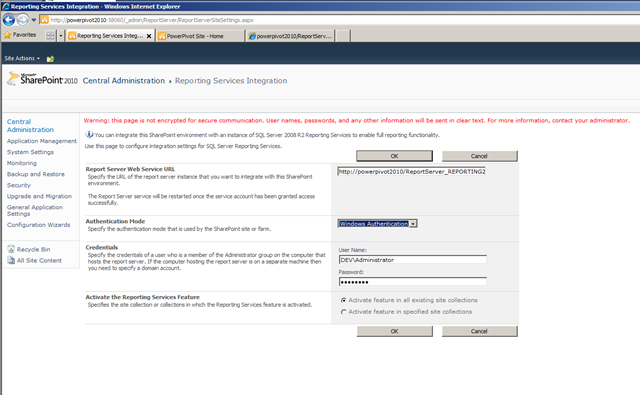 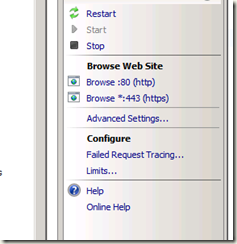 Followed the steps on http://blogs.msdn.com/sowmyancs/archive/2010/02/12/how-to-enable-ssl-on-a-sharepoint-web-application.aspx for more information on using hostheaders (dns entries) and ssl certificates. 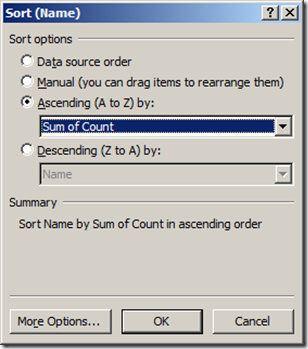 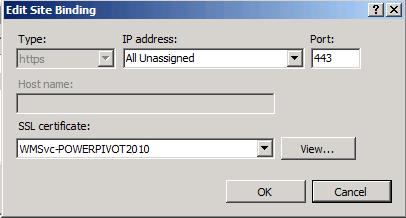 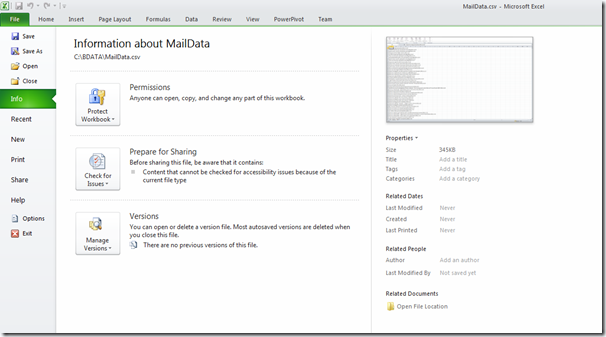 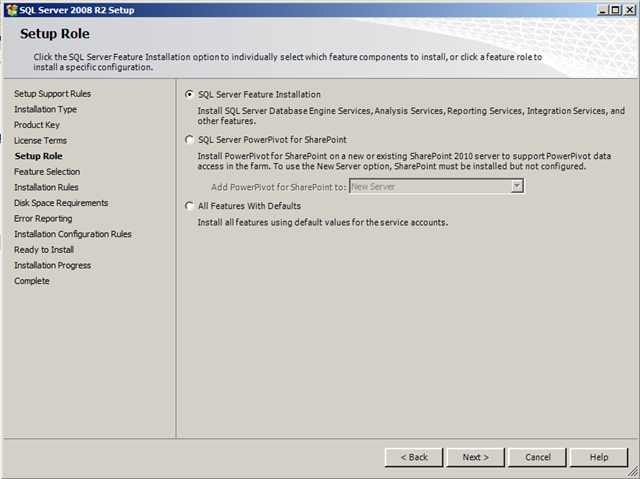 These are the steps I followed to install a development Microsoft SharePoint 2010 server with PowerPivot and Reporting Services integration. 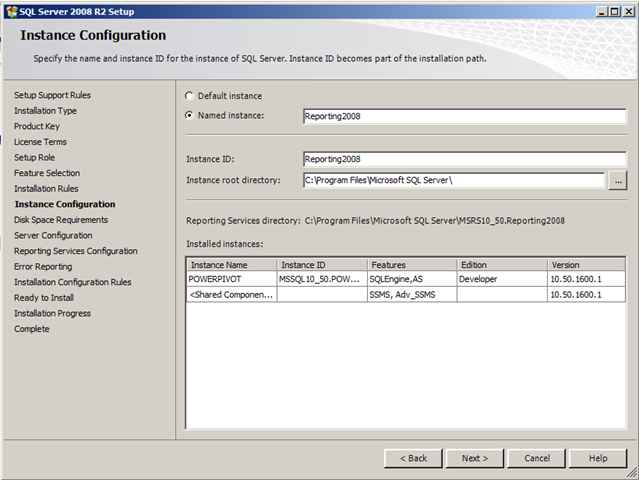 Then I followed the steps on: http://technet.microsoft.com/en-us/library/bb326356(SQL.105).aspx and http://msdn.microsoft.com/en-us/library/aa905871(SQL.105).aspx to enable Microsoft SQL Server 2008 R2 Reporting Services integration for Microsoft SharePoint Server 2010. 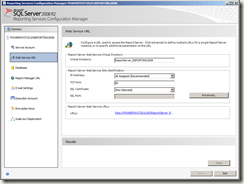 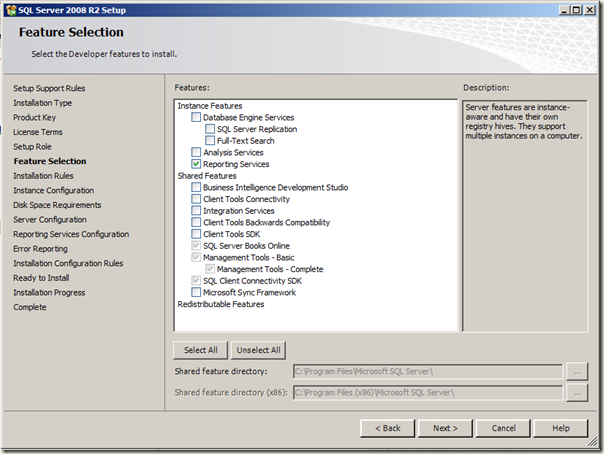 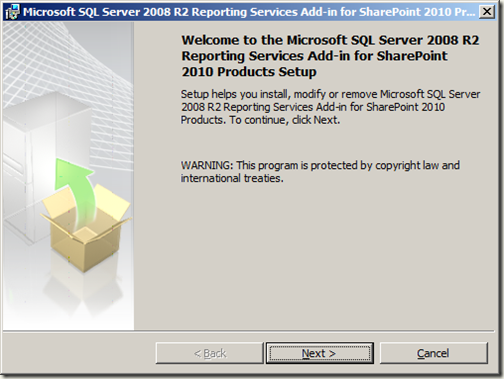 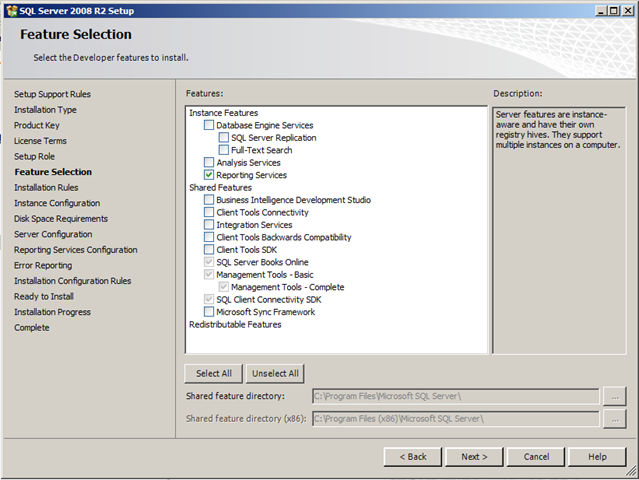 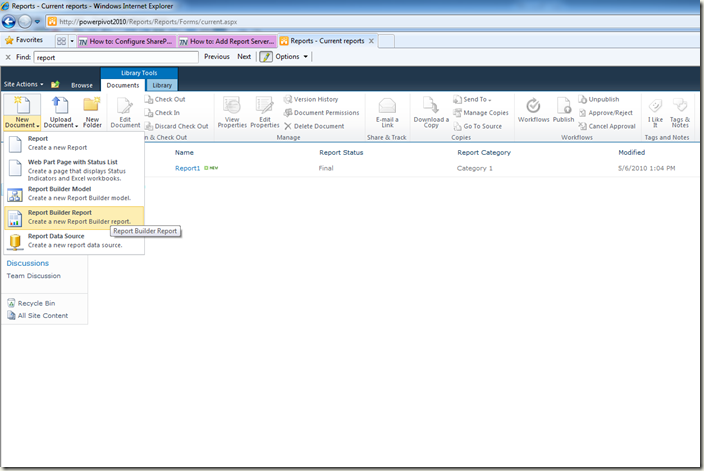 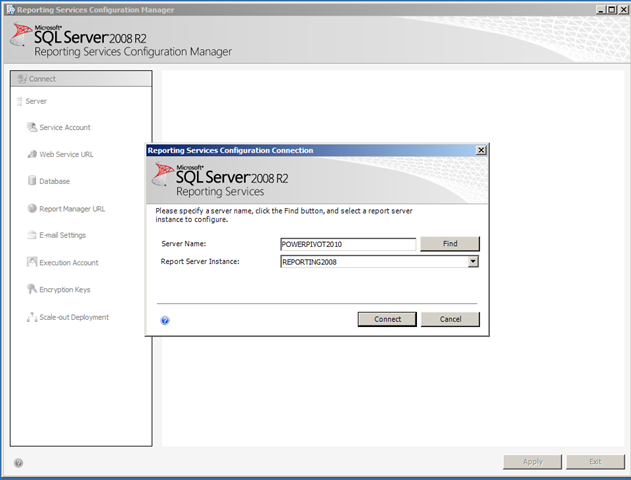 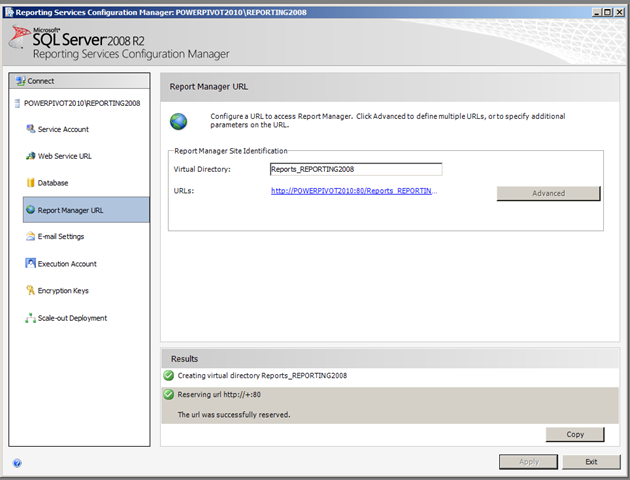 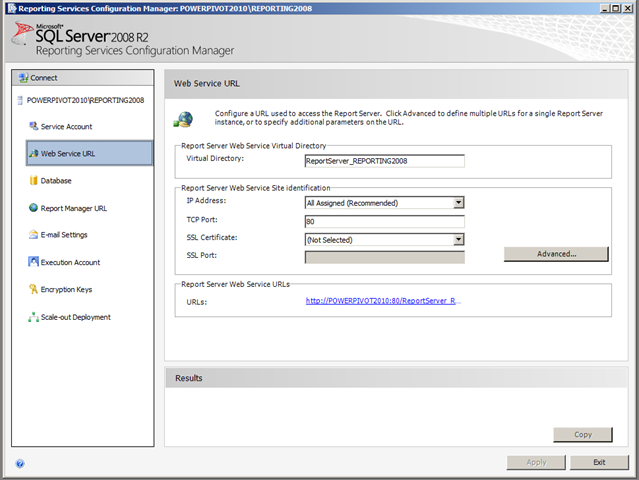 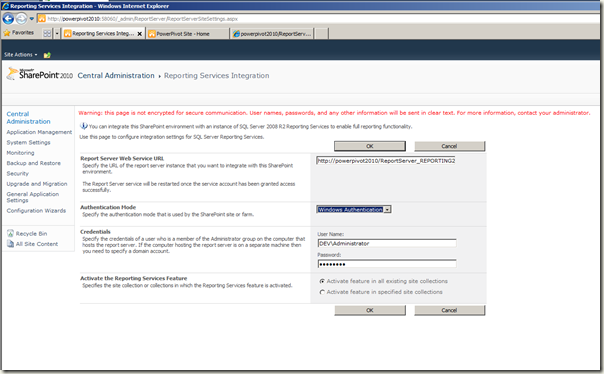 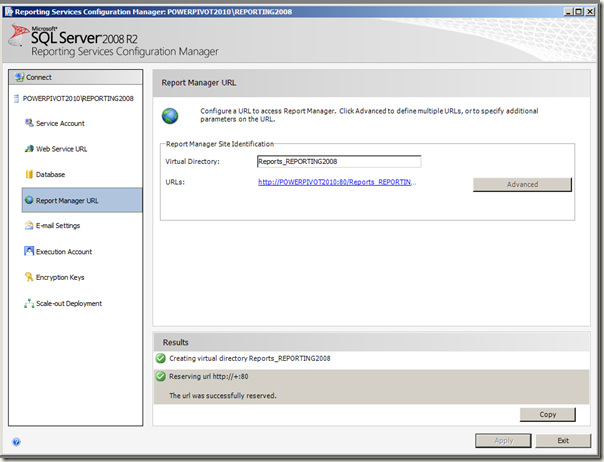 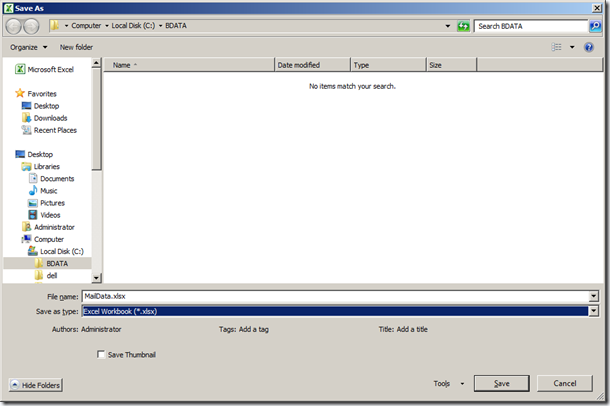 The SharePoint 2010 pre-requisite installer now automatically guides you to download and install the Reporting Services 2008 R2 for SharePoint 2010 Add-in. 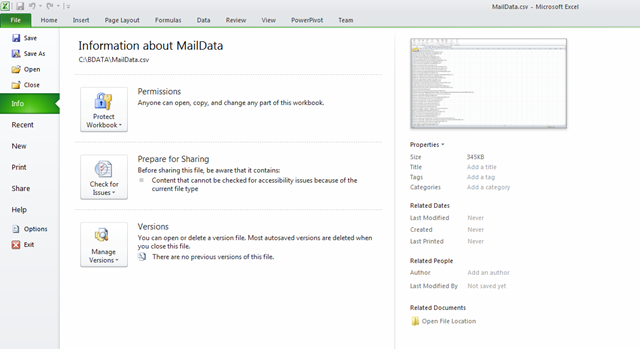 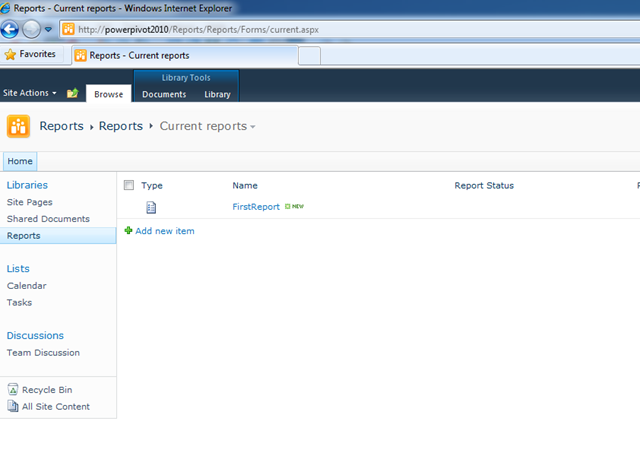 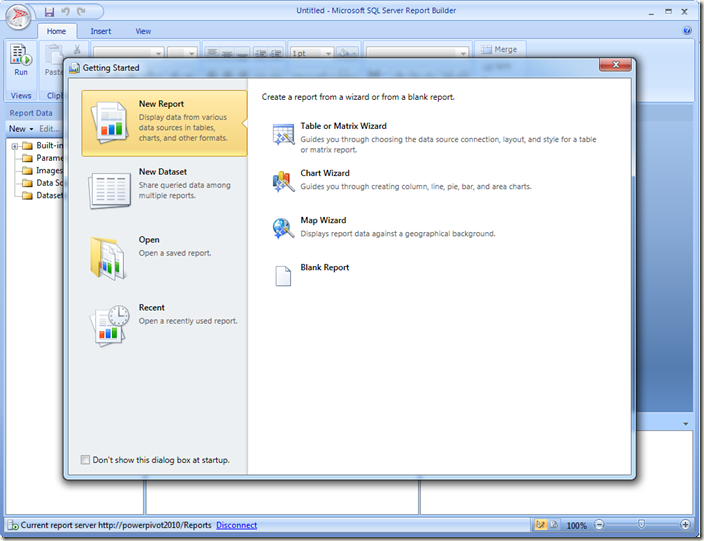 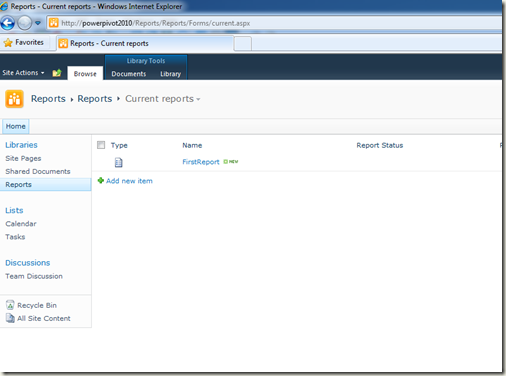 Btw, you can download the Reporting Services add-in manually as well. 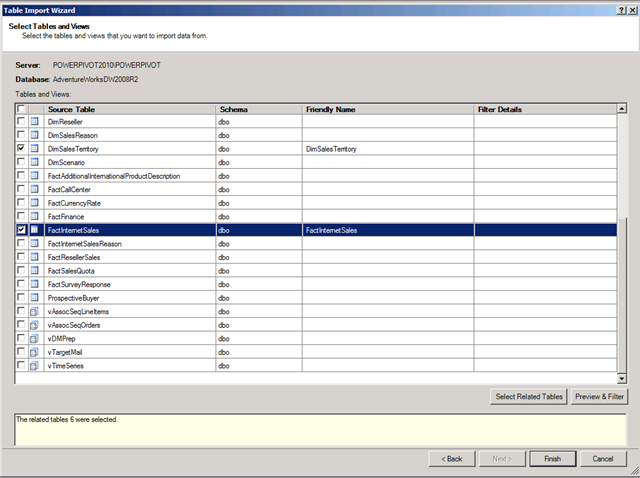 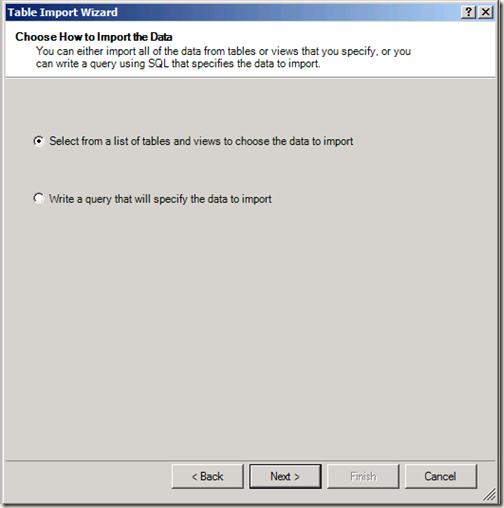 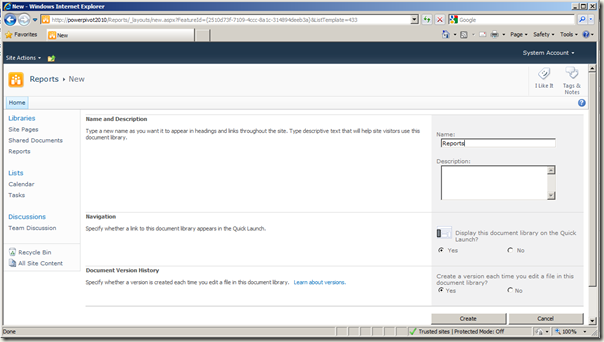 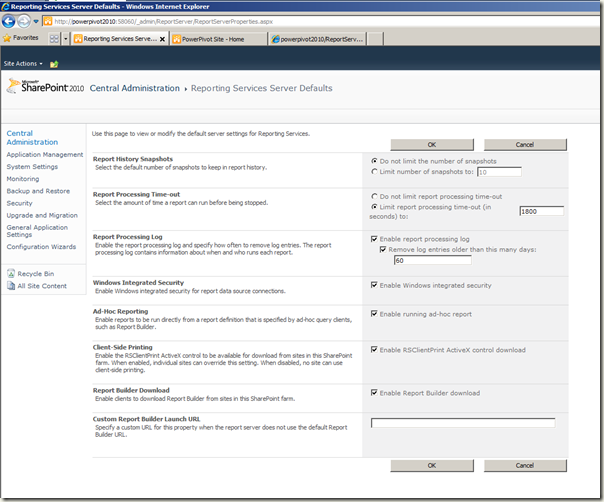 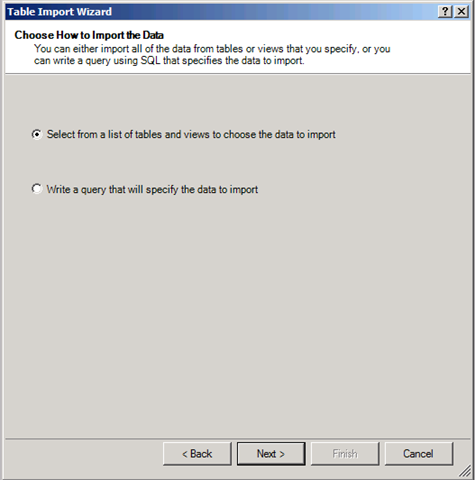 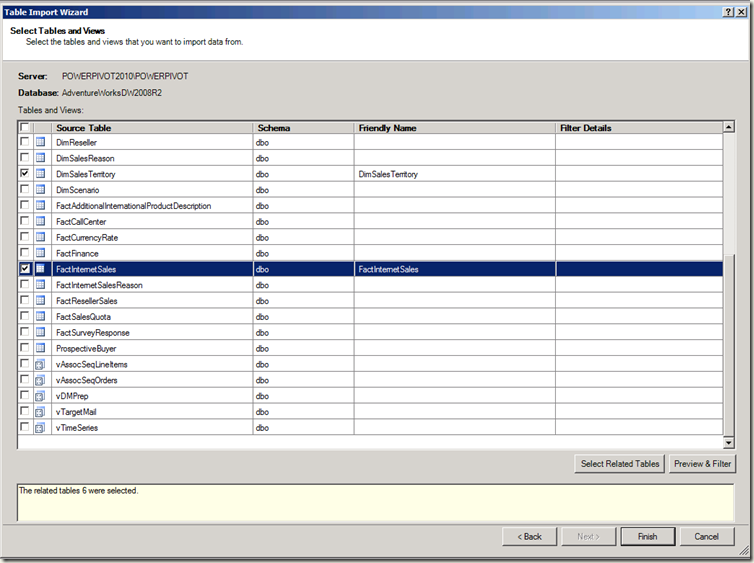 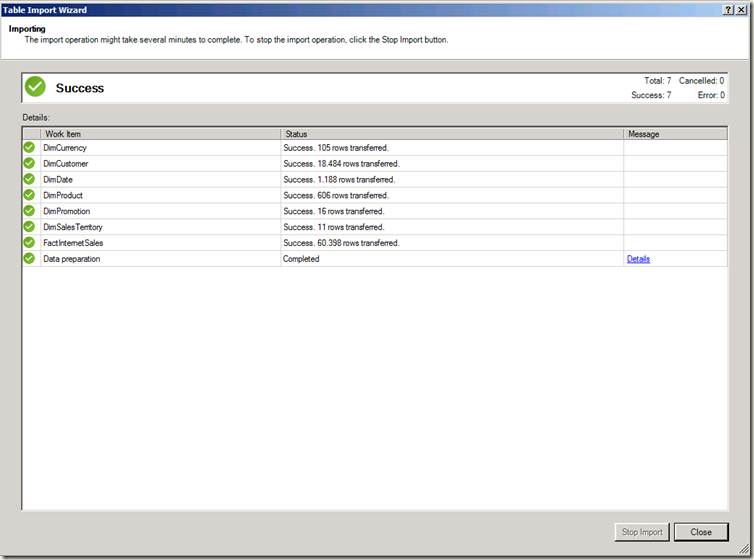 In most cases you can just activate the Report Server Feature in SharePoint Central Administration (http://technet.microsoft.com/en-us/library/bb677366(SQL.105).aspx). In some case you must first download and install the add-in manually, in my case I re-configured the Reporting Services 2008 R2 for SharePoint 2010 Add-in and then activated the Report Server feature on the Central Administration site. 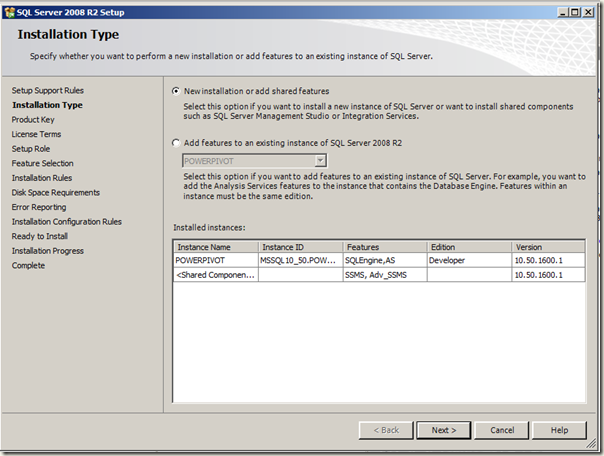 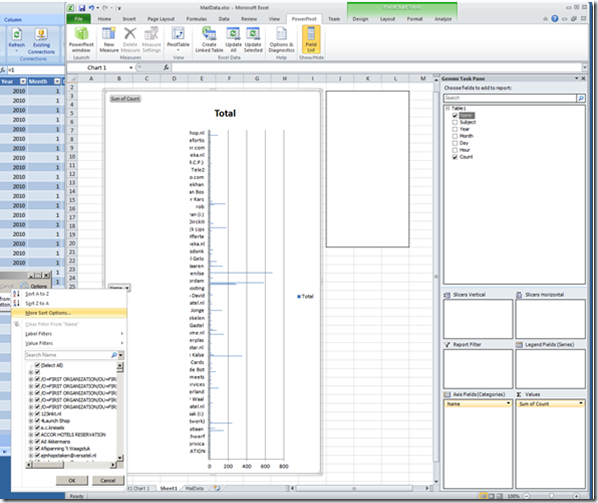 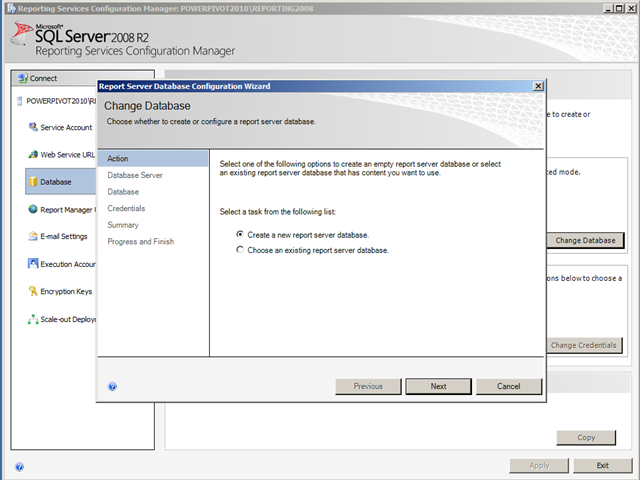 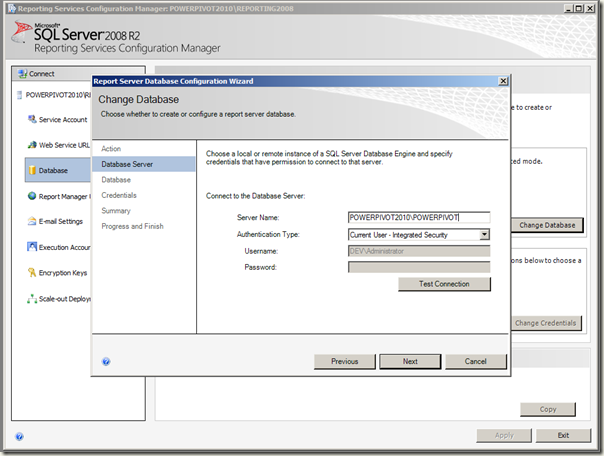 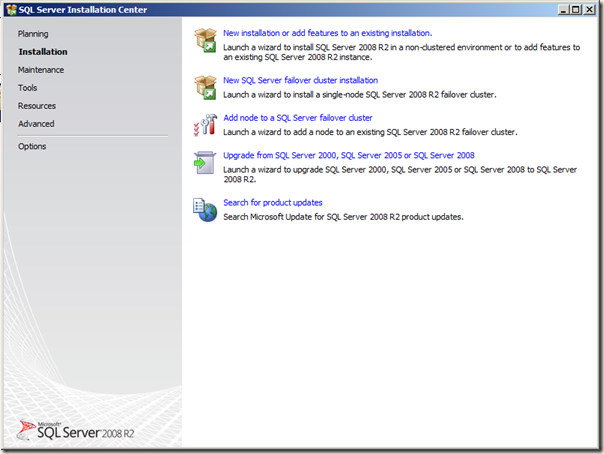 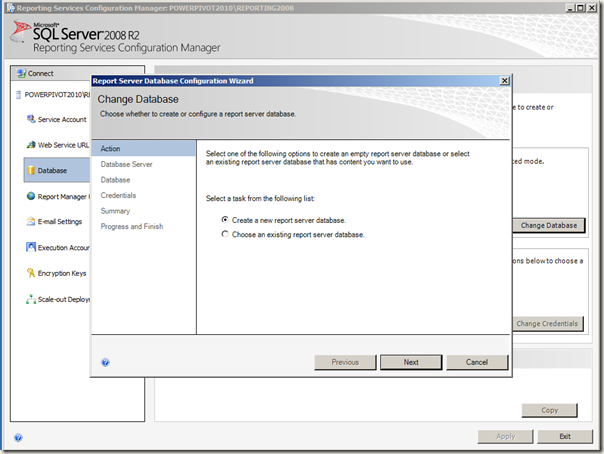 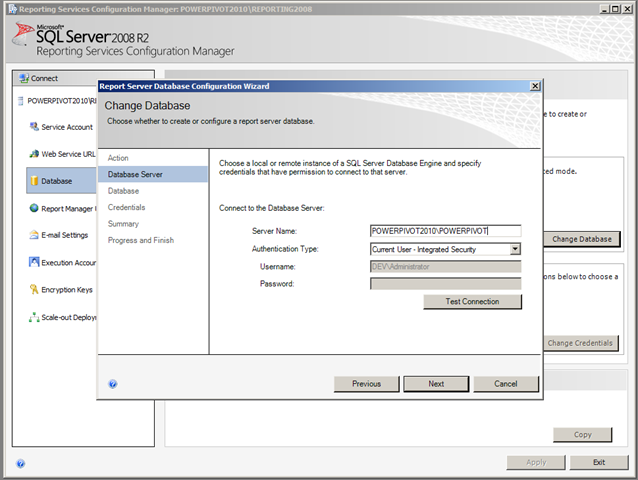 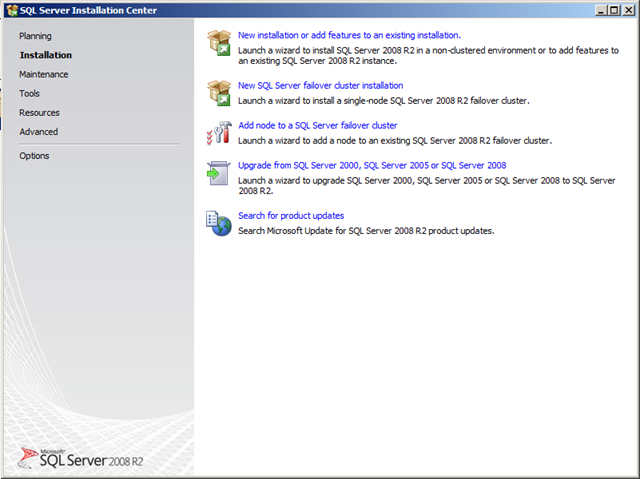 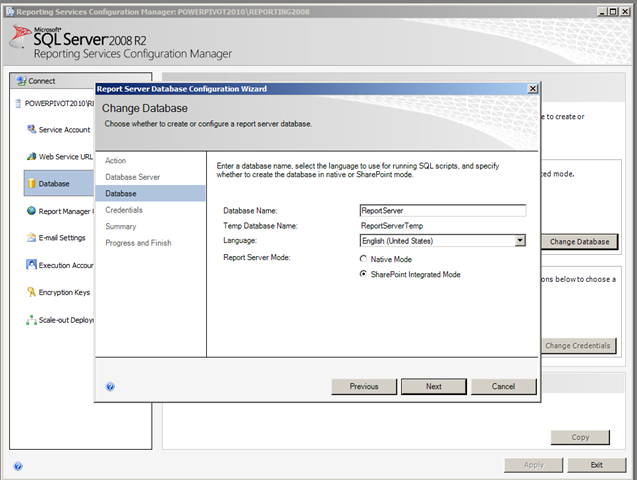 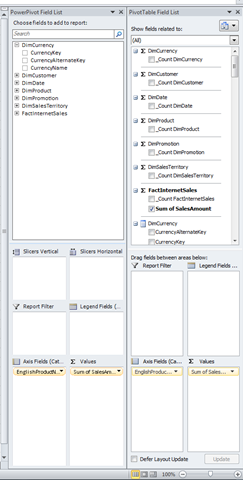 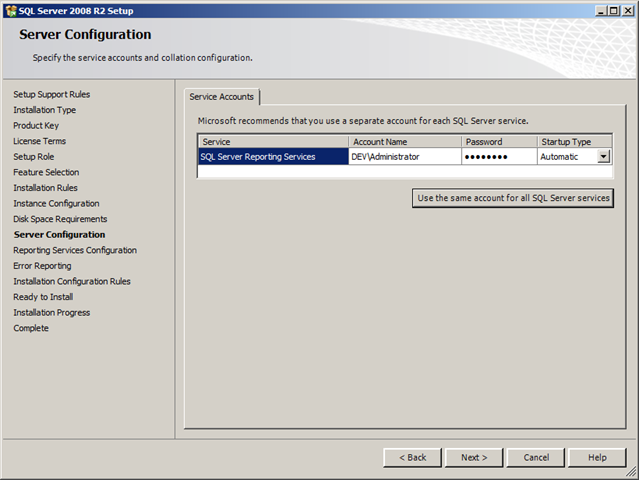 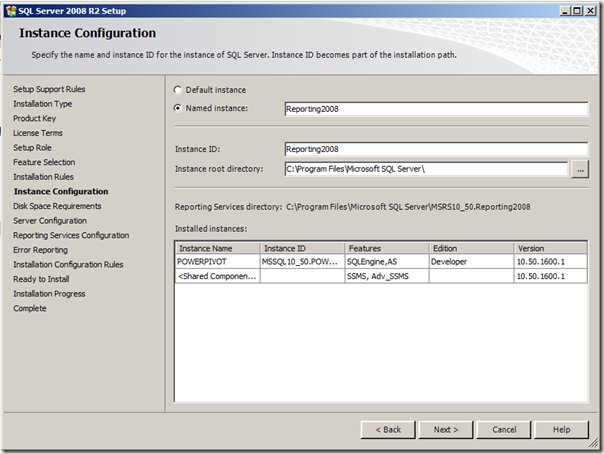 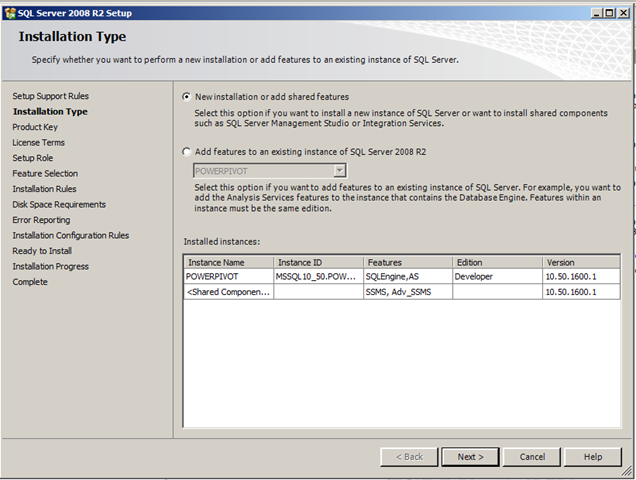 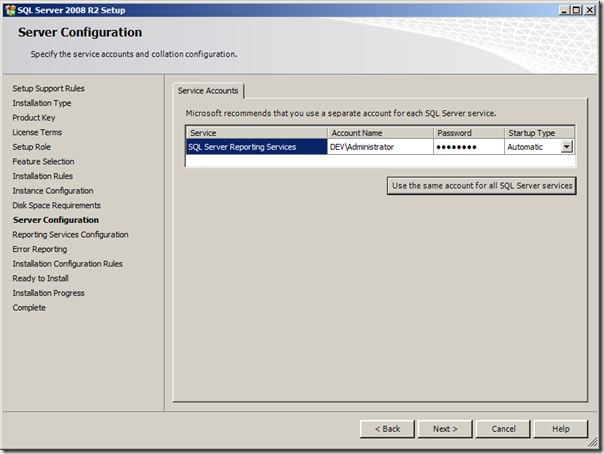 The Microsoft SQL Server 2008 R2 sample databases can be found at: http://sqlserversamples.codeplex.com/ (82.5 MB). 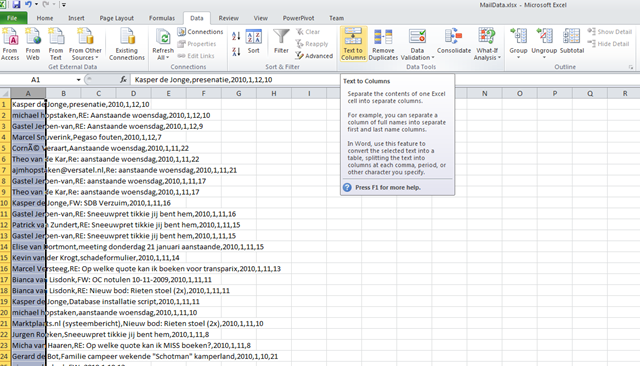 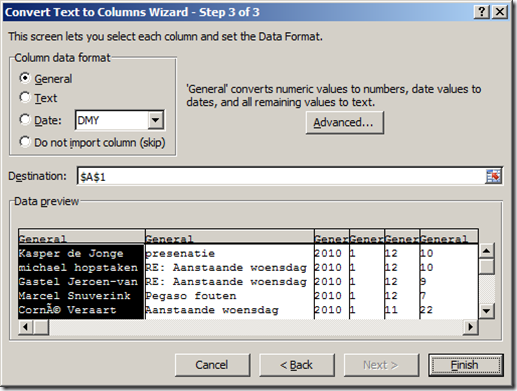 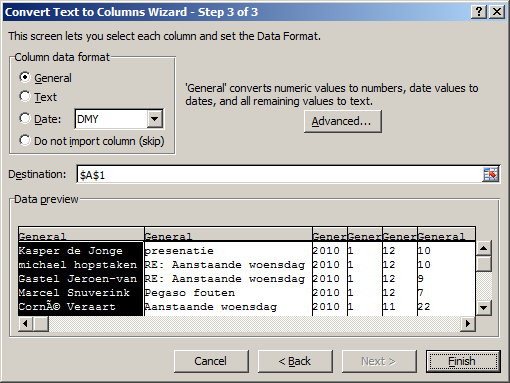 At this moment the November CTP sample database are the last version. RTM sample database should be released soon.